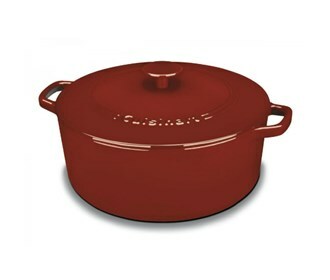 The Cuisinart Casserole chef's classic cast iron 7 Qt. round casserole is recognized as one of the best materials for cooking because of its ability to retain heat and provide even heat distribution. It's porcelain enameled exterior and interior offers durability creating an ideal cooking surface that does not impart flavors or absorb odour. The Casserole is extremely versatile and suitable for variety of cooking methods whether stove, oven or boiler safe yielding great results. 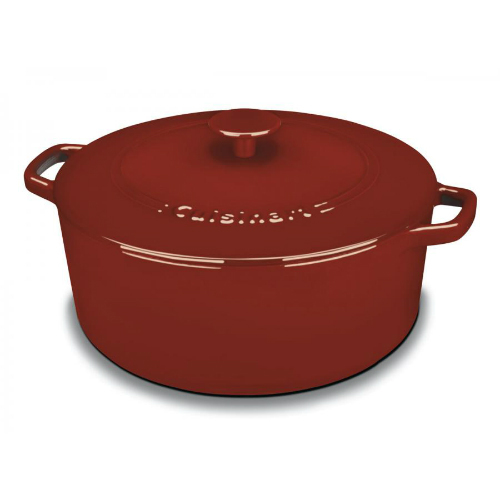 It's rich color with strong, durable finish complements any kitchen decor and wide cast iron handles provide a comfortable and secure grip offering easy transport for serving. The Cuisinart CI670-30CR has many exciting features for users of all types. You can extend the lifetime of your Cuisinart CI670-30CR with the purchase of a FactoryOutletStore Factory Protection Plan. See the Cuisinart CI670-30CR product video and gallery images above for more details. The Cuisinart CI670-30CR is sold as a Brand New Unopened Item.